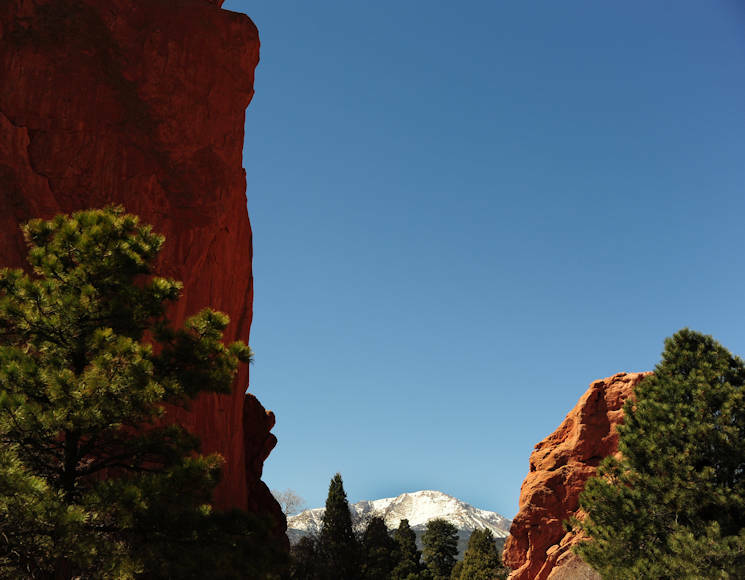 Spanning 1,367 acres of terrain, ranging from scrub lands to high tundra, the Garden of the Gods is an amazing place to visit, and if you're feeling ambitious, makes for a great workout that is perfect for maintaining a high level of fitness. Located at 6,500 feet above sea level with 15 miles of trails to hike, jog, run and bike visitors will definitely break a sweat traversing the park. A complete list of the various trails, such as the Perkins Central Garden trail, the Ridge trail and the Siamese Twins trail, are available at the Visitor and Nature Center on the way into the park. Some trails follow paved paths with gentle slopes rising barely 30 feet in elevation, completely accessible to wheelchairs and strollers, and ideal for families with small children. Others can meander several miles around the park and up 250 feet over rocky terrain. Whichever path chosen the scenery will be breathtaking, and not just because of the elevation. Traveling the paths offers the chance to see famous rock formations like the Tower of Babel, Gateway Rock, the Three Graces, Kissing Camels, the Sleeping Giant and the Balanced Rock. There is even an amazing view of Pikes Peak through a natural window between the Twins. Opportunities also exist to climb some of these famous giants. Organized trips with the Front Range Climbing Co. leave from the Visitor and Nature Center every couple of hours. Participants must have proper climbing equipment and fill out a free registration form, prior to climbing in the park. A complete list of all the technical rock climbing regulations and guidelines of the park should be reviewed before the trip, and can be found on the site. For a more relaxed sightseeing experience there are jeep, van and even Segway tours. Tours on horseback are also available through the Academy riding stables and offer a unique garden experience. Be sure to keep an eye out for the local wildlife. Herds of bighorn sheep, mule deer and elk roam the park along with squirrels, rabbits and even some coyotes, bobcats and the occasional black bear. 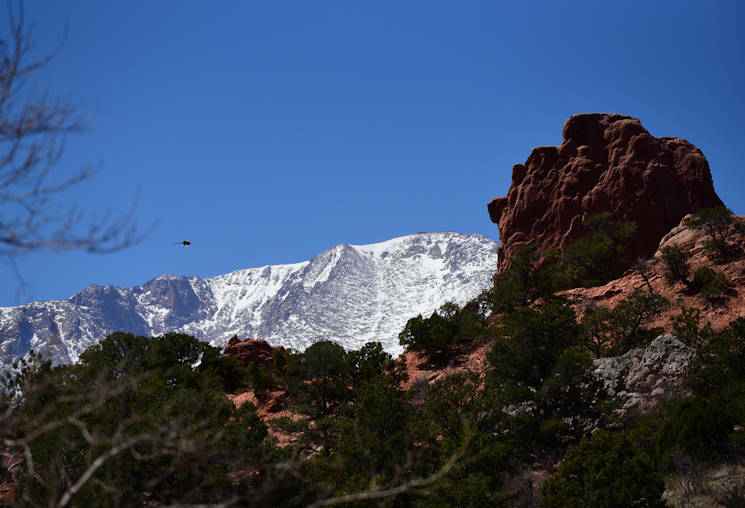 More than 170 bird species call the park home and fly around nesting high in the rock faces. In the summer months be mindful of the reptiles, as bull snakes and rattlesnakes are known to lay out on the rocks in the heat of the day. Visitors can take advantage of the twice daily, free guided nature walks, learning fascinating facts about the regions wildflowers, rattlesnakes, gold-seekers and even more Colorado-themed topics. 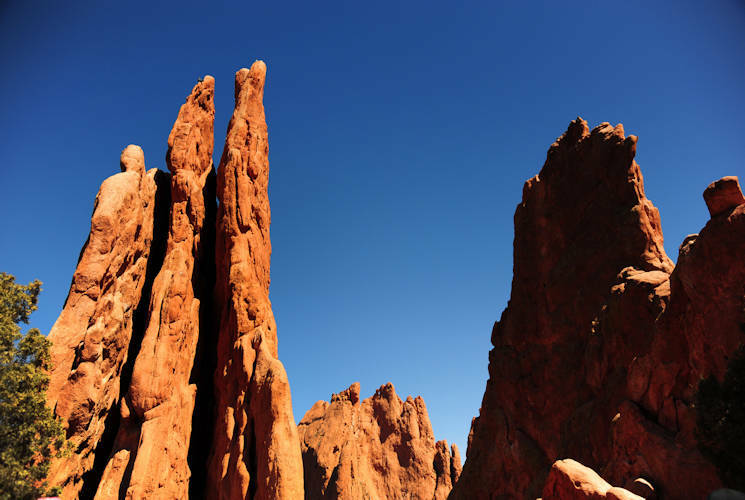 Regardless of how visitors choose to experience the Garden of the Gods ... it is definitely a Colorado Springs must see.